What would you prefer on your staircase? 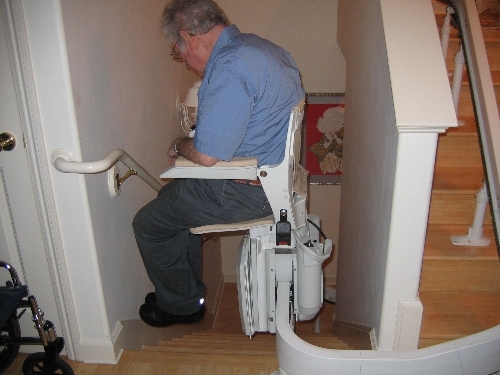 They require an excessive number of support legs visually littering your staircase with hardware. These lifts claim significant user weight capacities but are typically very lightly built to save materials cost and flex alarmingly in use. Often the rail /track does not install close to the wall due to the limited kit of parts available. Wide turns taking up the width of your staircase are normal. The ride is often rough and users feel every bump of every assembled track joint. The battery life is minimal with very few journeys possible before a recharge is required. 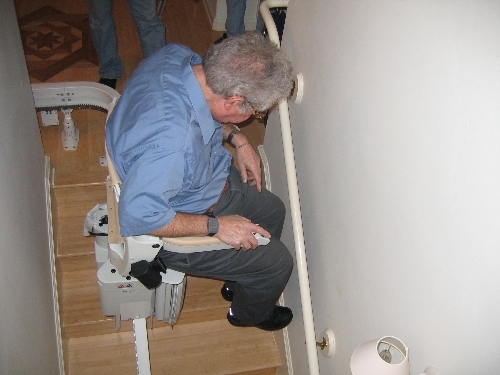 If the seat leveling system is electronic it can alarmingly allow the seat to tilt downhill if the batteries become exhausted. Exhausted batteries require an expensive technician visit to reprogram the device leveling.